This traditional holiday house is situated in the small village of Krunčići and is ideal for those who want to relax in the rural Istrian surroundings, only a few kilometers away from the well-known tourist towns such as Poreč and Rovinj. 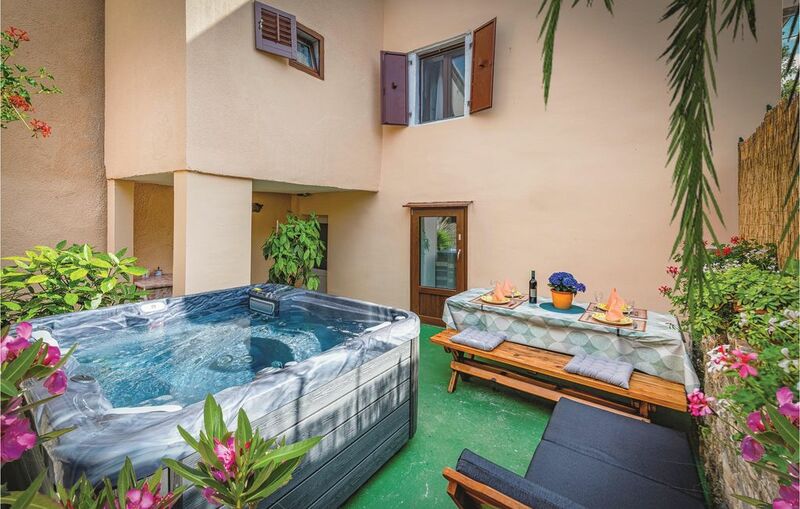 The simple and functional interiors are spread over two floors, while on the covered terrace, garden furniture and a whirlpool provide relaxation, where you can hide from the looks of others. Visit the wonderful coastal town of Vrsar, also known for its natural beaches.